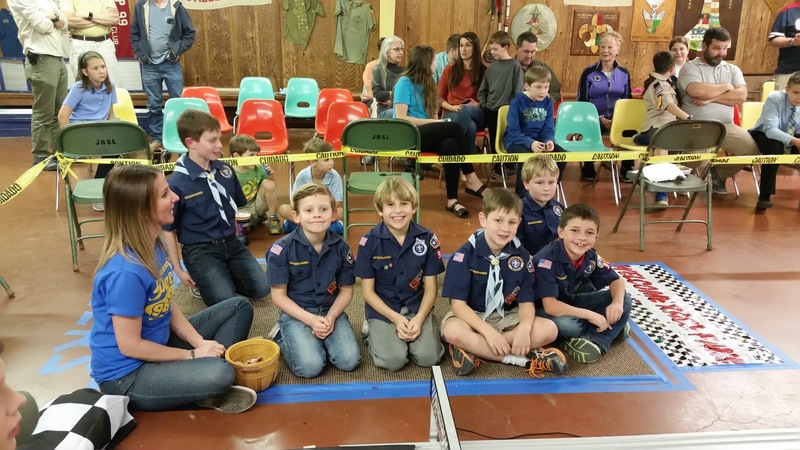 The Pack 98 Pinewood Derby, was super fun, as usual. 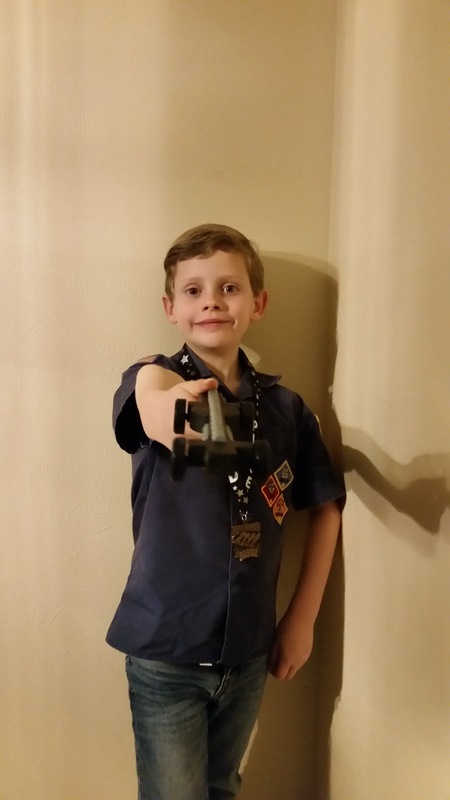 This year, Brady designed his own car and helped with every step in the process of making it. 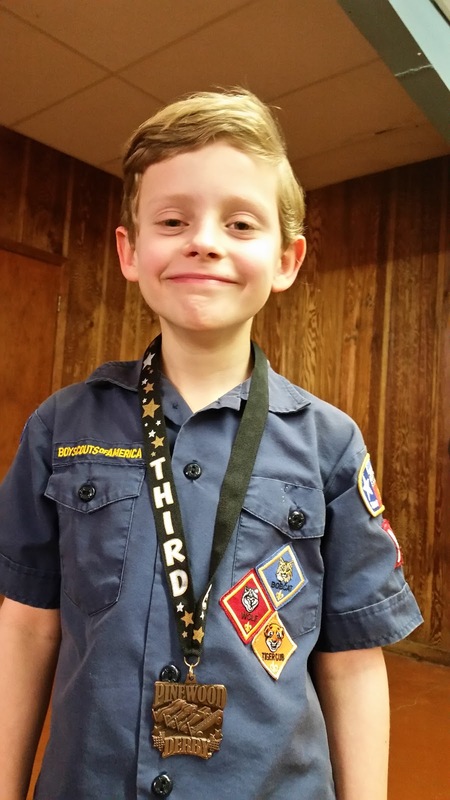 It was nice to see his enthusiasm and efforts pay off - he won 3rd place in his Bear Den. 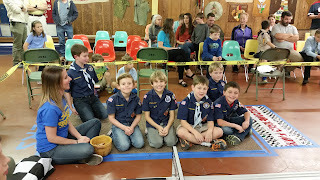 The scouts in the Bear Den sitting in the racers box, waiting to watch their cars speed down the track. Brady's car, which he named "The Bullet."